Product categories of Zip Lock Plastic Bags, we are specialized manufacturers from China, Zip Lock Plastic Bags, Zipper Lock Soybean Bag suppliers/factory, wholesale high-quality products of Craft Plastic Bag R & D and manufacturing, we have the perfect after-sales service and technical support. Look forward to your cooperation! 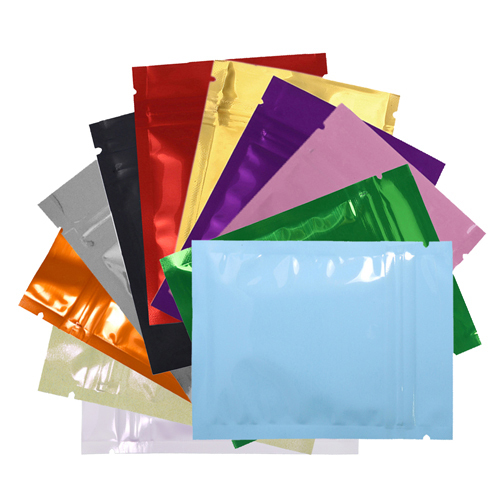 We have several different types and styles of Zipper bags to ensure that you can find the bags you need. Crystal Clear Zipper Bags Bags of the highest clarity, our unique Polypropylene Crystal Clear zipper bags are great for displaying the true color of the contents while protecting them. These are the clearest zip bags in the industry. PE Zippers Polyethylene Zipper bags that are flexible and with good resistance. Great for holding a variety of items. White Block Zips Zip Bags made with a white block for easy labeling. Great for hardware stores, manufacturing companies, gift bags, and much more. Stand Up Zipper Pouches Bags most commonly used to package food that zip closed and make excellent display pieces. Sliding Zips One of the most classic types of zipper bags, our wholesale sliding zipper bags are high clarity and cost well below retail pricing.